For over 25 years, the ensemble MUSICA FIORITA, conducted by Daniela Dolci, has been specializing in the performance of late Renaissance and Baroque music. The ensemble strives to promote the current standards of historically informed performance practice and is committed to being true to both the original scores and the liveliness of their performance. The varied use of instruments like the cornett, the baroque violin, the traverse and the viola da gamba, as well as the presence of a substantial continuo group (lute, theorbo, baroque guitar, psalterium, harp, harpsichord and organ) all aim to the flourishing of the finer nuances of the music of the 17th and 18th centuries ("Fiore" = Flower). MUSICA FIORITA, with its instrumental and vocal virtuosity and its interpretation rich in improvising, comes near to a way of performing that could be described as "refreshingly authentic". Long forgotten scores come to life again when they are embedded in their socio-historical context. Furthermore, MUSICA FIORITA succeeds in reproducing the subtleties of deep emotions and affects as they are conceived in the Baroque era. Thus, the ensemble is more up-to-date than ever. 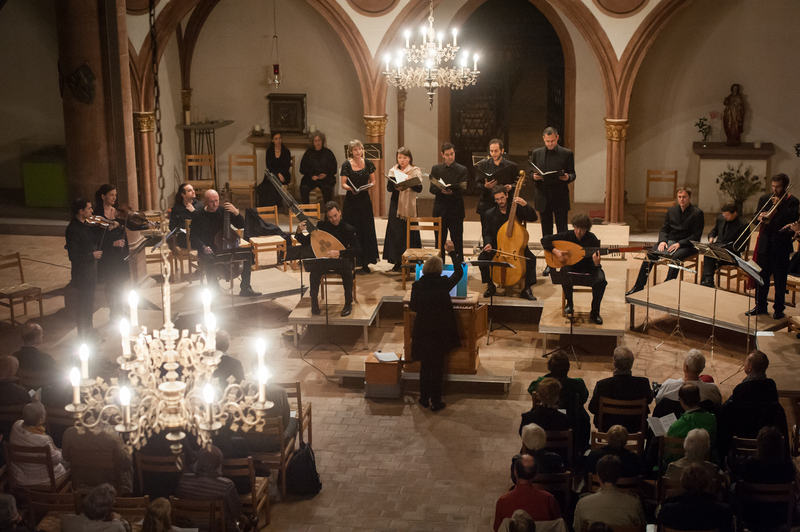 MUSICA FIORITA, with its balanced mix of vocal and instrumental music and the contrast between sacred and secular music, achieves in its concert programs the concept of variety embodied by the early and late Baroque. The performance of selected chamber music is staged, as it was once, as a social event. Church music lives, on the other hand, on simplicity, poetry and deepness. The ensemble’s participants come from very different parts of the world, speaking many different languages, and yet—this being MUSICA FIORITA’s specialty—they are unified by the language of music through their studies at the SCHOLA CANTORUM BASILIENSIS – the "Institute of Musical Research and Education in Early Music" of Basel, Switzerland, where they not only did shape their artistic competences, but also their wish to research, investigate, discover and broaden their horizons and self-development. Both with regards to finding artistic consensus (in all its diversity) and with regards to the repertoire, the instrumentation and the historical musical performance, the ensemble MUSICA FIORITA aims to build a bridge between early music and its nowadays' modern context.